Have you ever heard someone talking about ‘the cloud’ and wondered what it meant? Although the idea is relatively new, it's not too hard to understand. In fact, you've probably used the cloud many times without even knowing it. What I find amazing is how intertwined most of our everyday lives have already become with this new technology - and from what I can tell, the cloud isn’t going to be blown away anytime soon. As a deployment engineer at Cloudbakers, I consider myself very lucky to be able to work closely with Google who is paving the way at the very forefront of cloud technology. They have been able to construct an astounding infrastructure that supports virtually everyone from multinational corporations to social media platforms to your local mom and pop grocery store. As an organization, Google is a collection of rock star computer scientists who build and maintain this distributed network of data centers that behave as one massive supercomputer, also known as the Google Cloud. 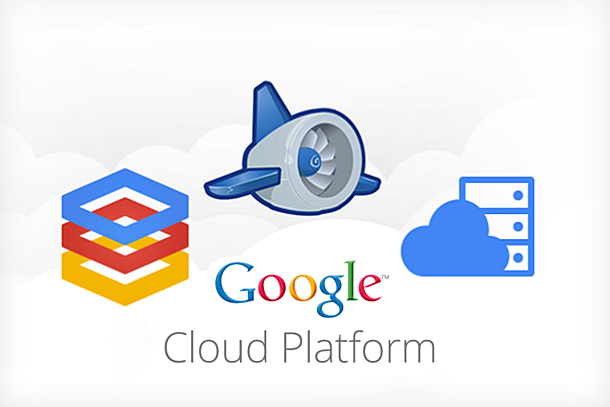 Google has created a very developer friendly environment with App Engine and other products on the cloud platform. App Engine is a platform as a service (PaaS) and is making amazing things possible; Angry birds, Best Buy’s ecommerce tagging system, all the way to powering the popular ephemeral messaging service, SnapChat. The possibilities of what can be built are virtually endless, regardless whether the intentions are for business or pleasure. For businesses, cloud solutions with Google Apps make sense. They are extremely flexible, scalable and secure, boast a 99.95% SLA, offer major cost reductions in terms of hardware/software, and require no maintenance costs. Additionally, more and more people today work outside the office, and even ‘WFH’ or ‘work from home’. This means having access to data, files, documents and collaboration tools is ever increasingly important. In today’s digital world, almost everything can be powered through Google’s cloud platform as a service. Some great examples include websites, business applications, mobile & gaming apps, content delivery channels and interactive tools. With this in mind, it’s no wonder that we are experiencing this massive shift to cloud based technology. The scoreboard doesn’t lie - it’s undeniable that the majority of the most forward thinking and progressive organizations are embracing and flourishing on this technology platform. If you haven’t made the switch to Google yet, it’s time you do. Author Bio: Tyler Hill is a Cloud Deployment Specialist at Cloudbakers. His goal in this role is to build and deliver custom tailored cloud solutions for clients. Follow him on G+. Author Bio: Tyler is artistically creative and digitally skilled. From videography to Google deployments, Tyler can do it all. You can see him featured on the cover of Cloudbakers Change Management eBook.